While the new strain, known as CPV-2c, is spreading around the world, until now there has been no confirmed evidence of its presence in Australia. However, according to the research, over the past two years cases of CPV-2c have occurred in South Australia and Victoria, and suspicious cases have been seen in Queensland and Northern Territory. The researchers say that while much more work needs to be done to understand the new strain, veterinarians need to be aware that this strain is now present in Australia, may not show up in the existing diagnostic (SNAP) tests, and that dogs vaccinated against canine parvovirus may not be protected against the new strain. Dog owners should still vaccinate for CPV, and take their dogs to the vet if they have unexplained or persistent diarrhoea and seem unwell, the researchers advise. "Canine parvovirus infection (CPV) is a highly contagious viral illness of dogs which attacks the cells lining the small intestine, causing bloody diarrhoea and, in severe cases, can be fatal," says Associate Professor Farhid Hemmatzadeh, veterinary virologist with the University's School of Animal and Veterinary Sciences. "Most CPV infections occur in young dogs between six weeks and six months of age. CPV in Australia is historically associated with two viral variants, CPV-2a and CPV-2b. But we've now discovered a number of cases associated with the CPV-2c strain, previously thought not to occur in Australia. "However, we are not seeing a great spike in dog deaths in Australia, so I think it's a case of being alert, not alarmed." Associate Professor Hemmatzadeh has been working with specialist veterinary pathologist Dr Lucy Woolford, PhD student Noor Haliza Hassan and veterinary science student Hannah Bobrowski, all from the School of Animal and Veterinary Sciences, and veterinary clinicians Dr Paul Crocker and Dr Trevor Baker. 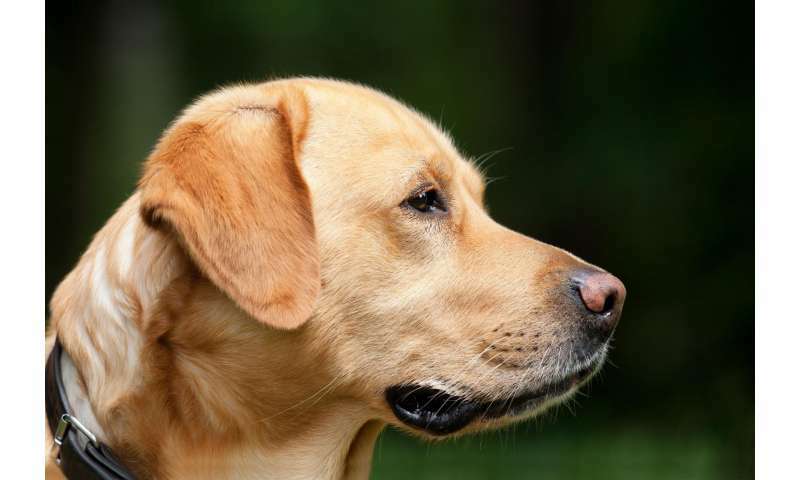 The researchers found that in most cases, in-clinic diagnostic tests (known as SNAP tests) have shown negative results in infected animals, and some cases of the new strain have occurred in dogs that had already been vaccinated against CPV. "The prevalence of CPV-2c is expanding worldwide and is reportedly associated with disease in adult dogs, as well as in dogs that have completed the vaccination protocols," says Dr Woolford. "While we still don't have a lot of good evidence about whether current vaccines work against this new strain, it's concerning that owners and vets may think the dog is protected against all types of CPV." Dr Woolford say dogs with the virus would show decreased appetite and lethargy, with bloody diarrhoea and vomiting. There is no specific treatment for the virus itself, but dogs can be hospitalised and supported with intravenous fluid therapy, anti-emetics to stop vomiting, antibiotics to treat secondary infection by bacteria, and pain relief, until they recover. The research has been published in the journal Viral Immunology and the researchers have deposited the full genome sequencing information for studied cases with GeneBank.